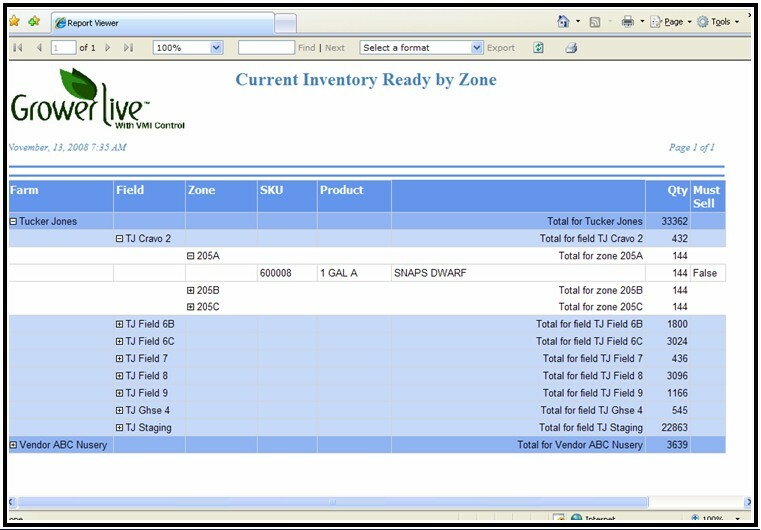 Manage your available inventory efficiently by identifying product “Ready Dates,” and identify available products as they become ready to sell. 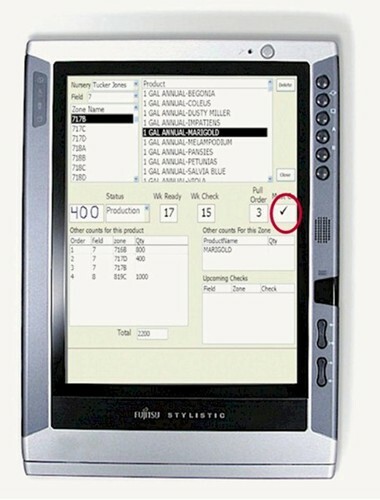 Through the use of any internet capable device, growers can walk the farm and count only what is ready for sale. 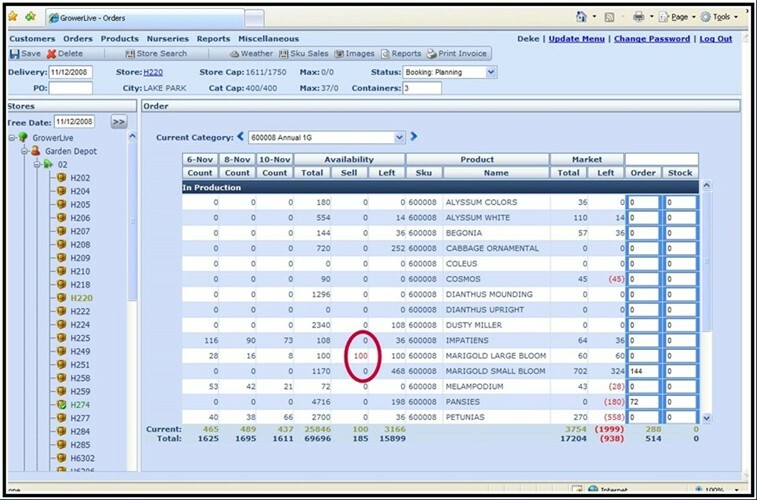 Management can then release all or part of the available quantities for sale at once, or over a period of days. 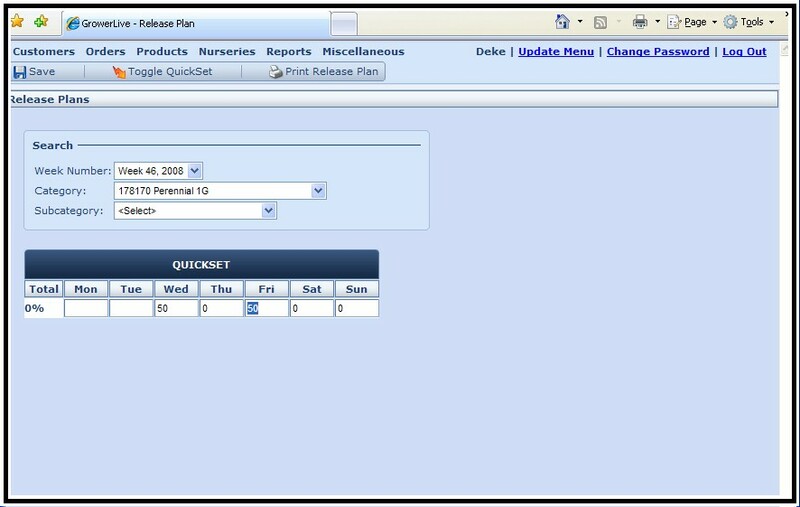 Release quantities can be based on a seasonal distribution plan that allows the order writer to see only what percentage of the availability is allocated to the current customer, or market they are working on. 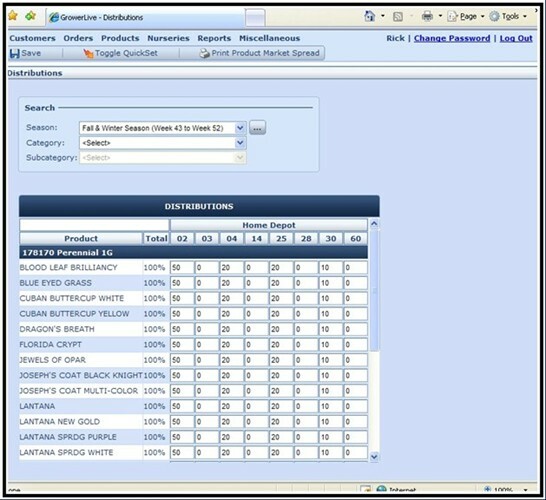 This information is immediately available to the order writers. 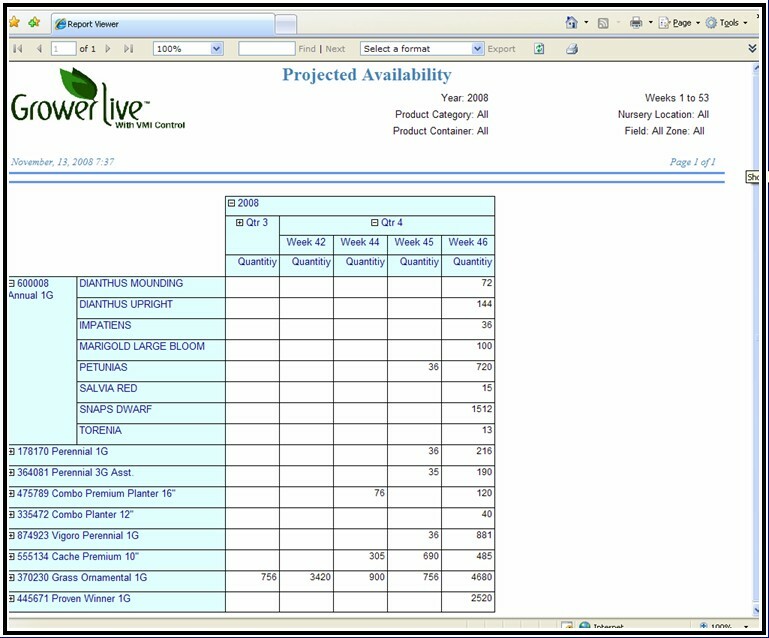 Your vendors can provide you with real-time availability through GrowerLive Nursery System. 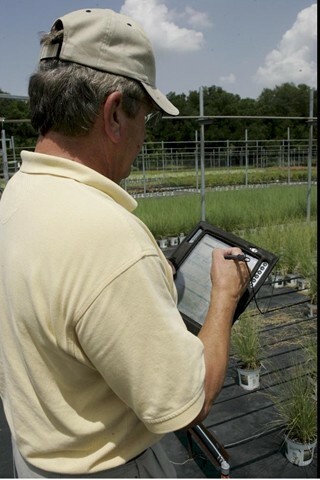 It can be accomplished by utilizing an interenet capable mobile device in their growing facility, or entered directly into GrowerLive Nursery System. Secure, limited access to your vendors can also be provided. 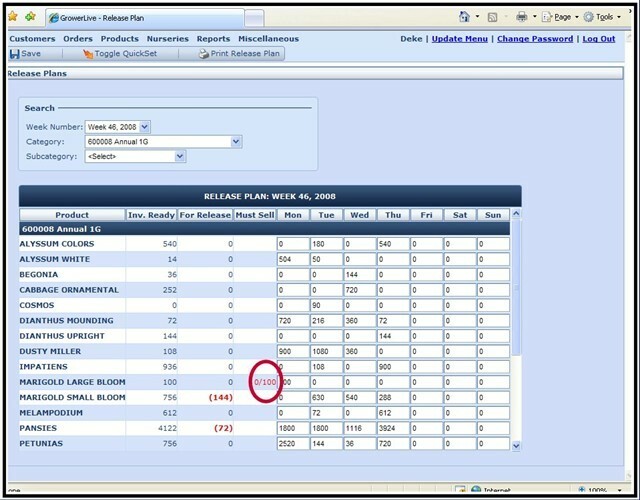 They can view the inventory committed to orders, and assure that you will have enough product at the time of order fulfillment. 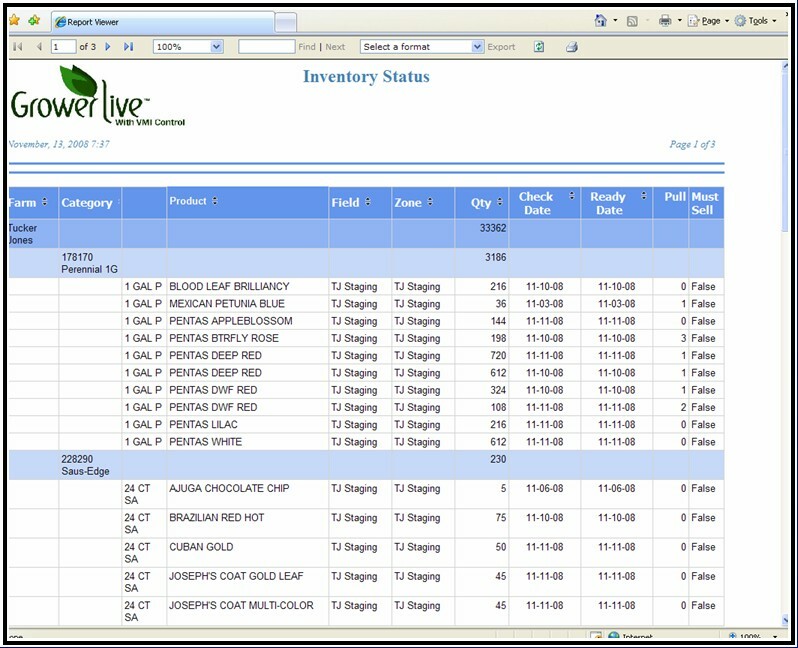 GrowerLive Nursery System works seamlessly with the entire suite of GrowerLive products, or can integrate with your existing software. 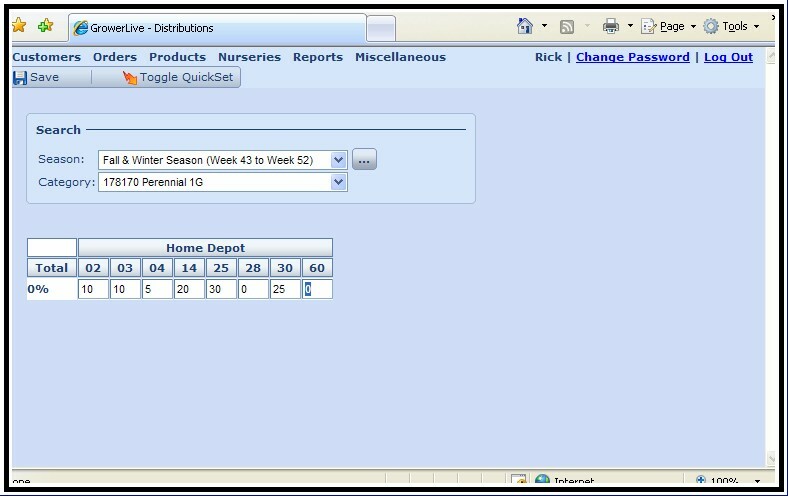 Count farm availability with any internet capable mobile device. 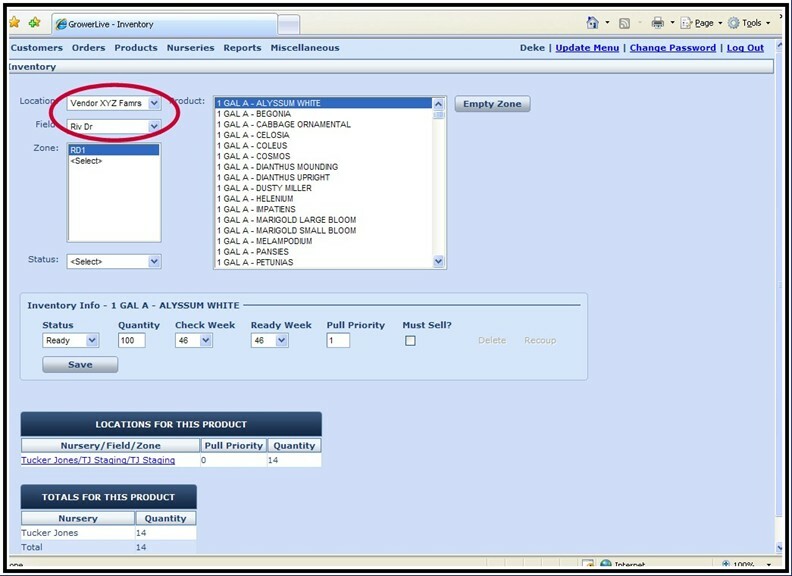 Release products to sell as needed. 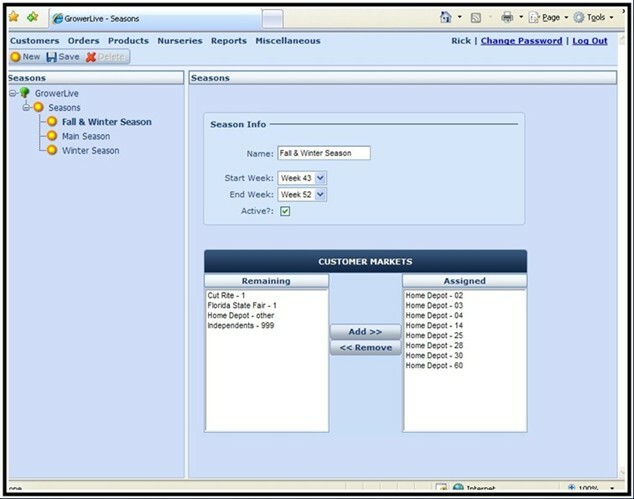 Distribute availability differently by season, customer, and/or market. 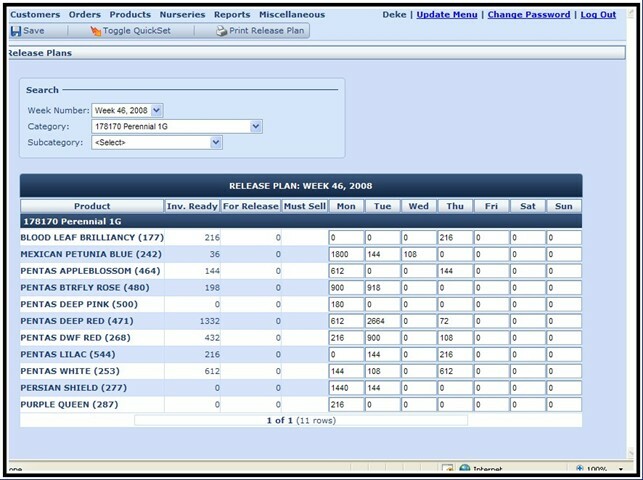 Mark products as must sell. 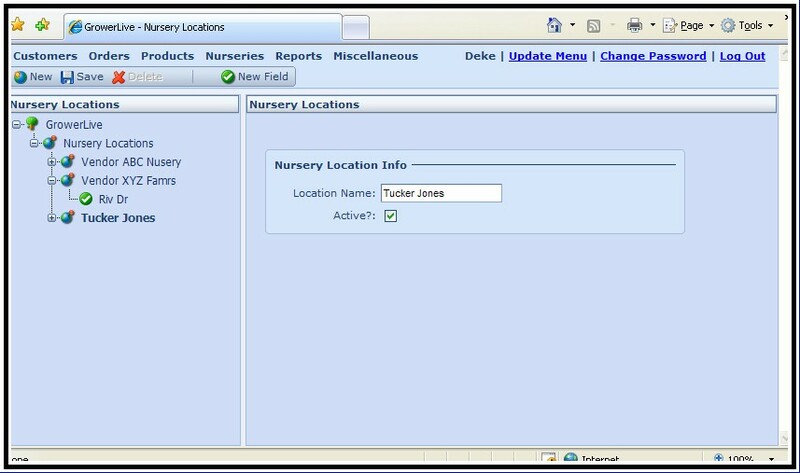 Bell model satellite nursery real-time availability. 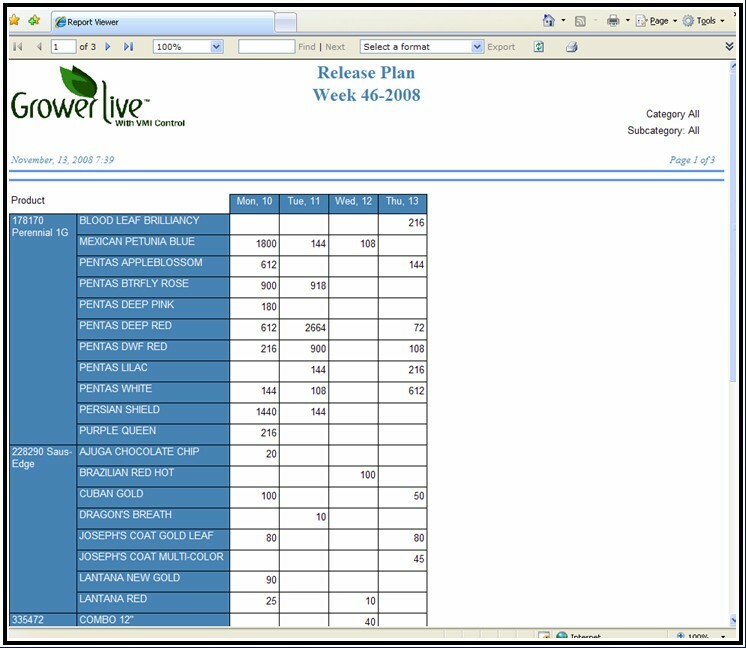 © 2007-2016 GrowerLive™ All rights reserved.